AIG and USAA, two insurance innovation leaders, are about to start experimenting with drones to speed up the claim management process. The Federal Aviation Administration has approved USAA’s plan to test unmanned aircraft system aka drones to help speed up the review of insurance claims from the members after a natural disaster. USAA has become one of the first insurers to be granted the approval by the FAA. The company had filed an application with the FAA for testing of the drones in October. During that time, they had asked for an exemption under section 333 of the FAA Modernization and Reform Act of 2012 for testing of more efficient small drones, but the decision was still pending. In a press release by USAA, the insurance firm said they will now be able to fly drones made by PrecicionHawk, a U.S. based company, during the day and under the supervision of a trained pilot and air crew. 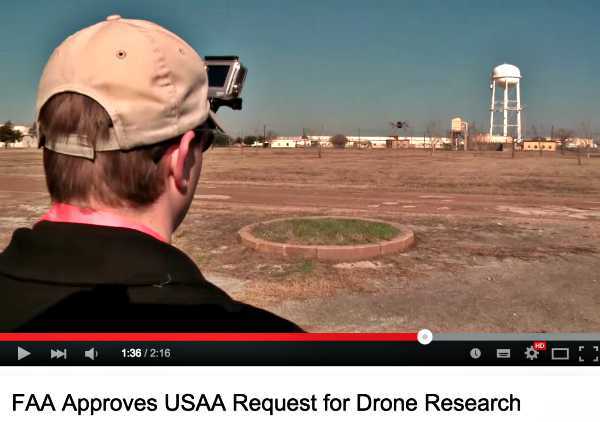 Before the approval, USAA test flights could only be done at sites approved by FAA. Drones are quickly becoming another string to the insurance innovation bow as they can examine natural disasters by flying over the affected areas that may be dangerous for humans. Visual assessment and mapping tools will allow rescue workers to understand the changed terrain due to the natural disaster. In addition, it will also help the insurance agents in claim management as they will be in a better position to see the claims that were justified. It will also help the victims to get the claims for disaster much faster to help them get on with their lives after a disaster. Last week, AIG made a very similar announcement about drones on its website. USAA and AIG, two of the most innovative insurers globally, might just as well kickstart here a new trend, should their respective drone pilots prove successful. It’s always good to see some early adoption of popular new technologies to make a big positive impact on people’s life, even though the regulatory field is still rather green.